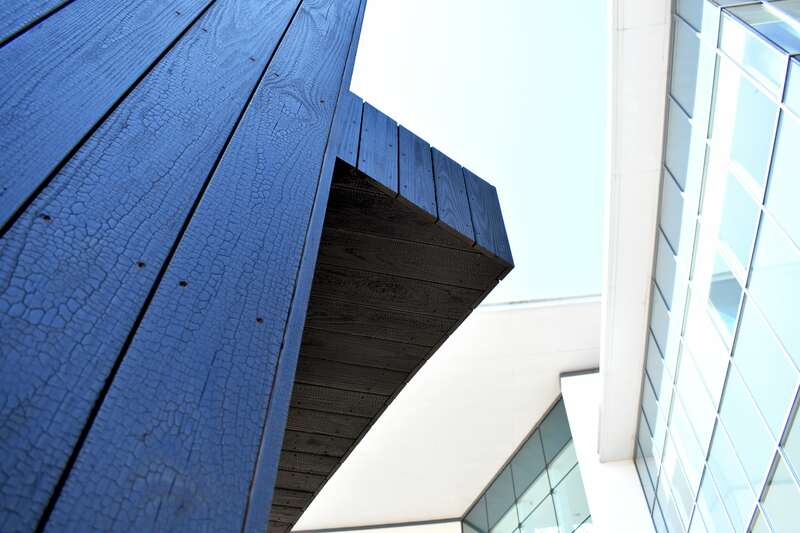 Black Cladding to go with your Black Coffee? 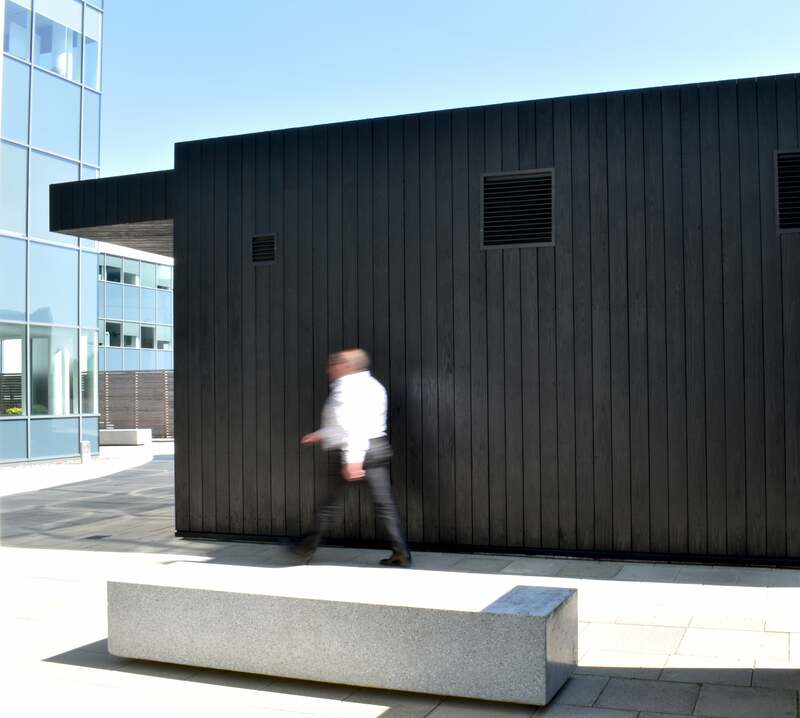 Aros Architects have designed a stylish CLT structure to house a coffee shop on the Quantum Business Park in Maidenhead. 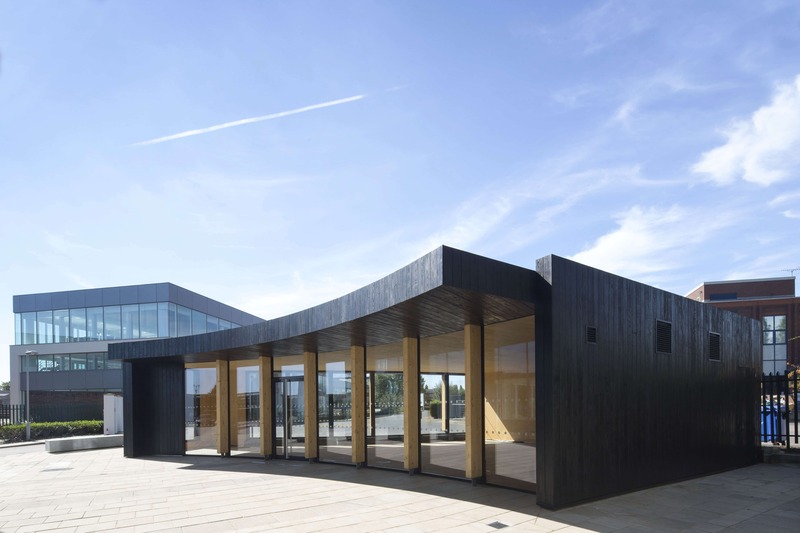 Furthermore, the structures maximised the natural interior light with floor to ceiling glazed units. 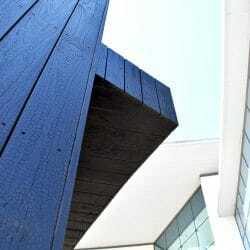 These wrap around the front and back of this solid timber structure. 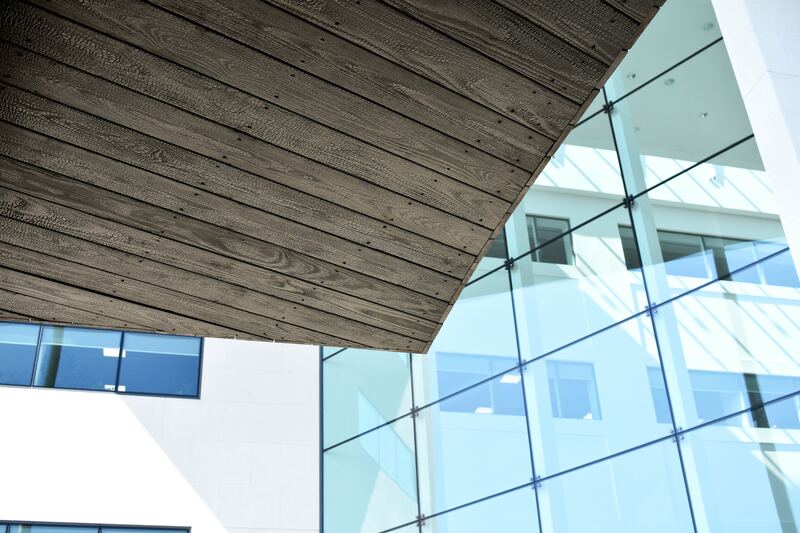 The design is a sharp-cornered structure that has a presence, surrounded by massive commercial properties this building needed to stand out… and it does. 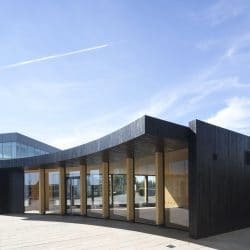 Sweeping curves and a difficult design to construct is cross-laminated timber structure with a dark cladding to the exterior. 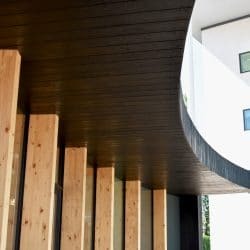 Kebony Timber Radiata Charred “Minami no” 南の black timber cladding in a simple TG&V profile allowed the timber to flow along these accentuated curves. 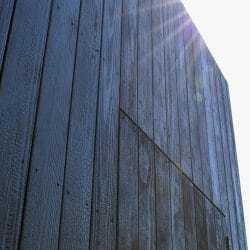 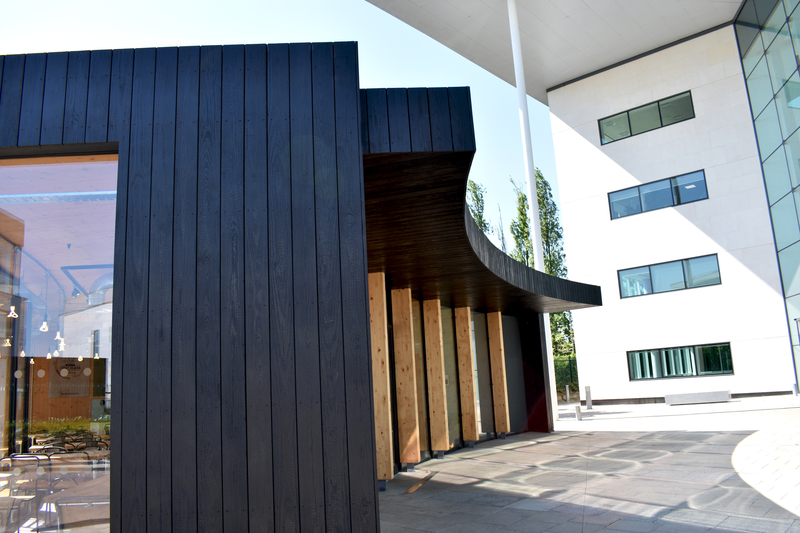 The cladding was secured with stainless steel black tipped screws. 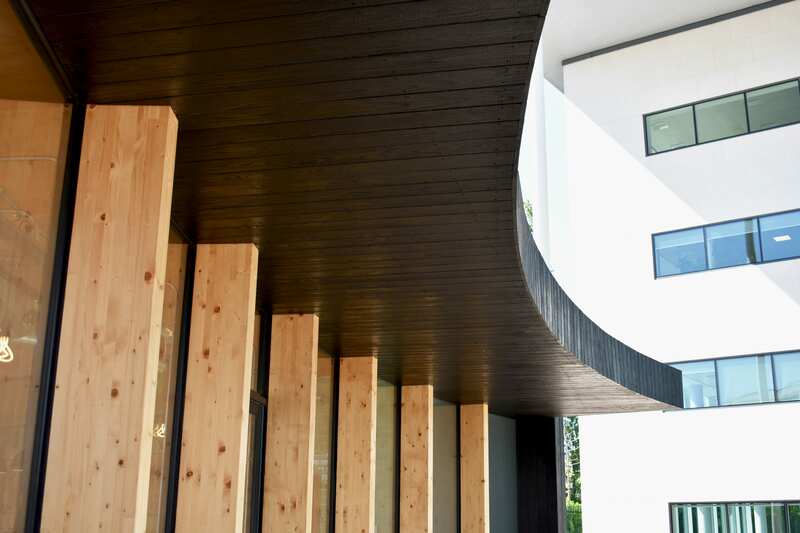 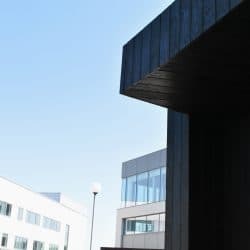 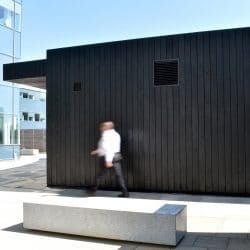 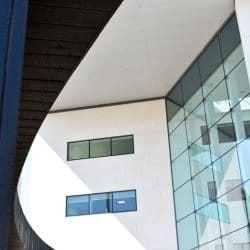 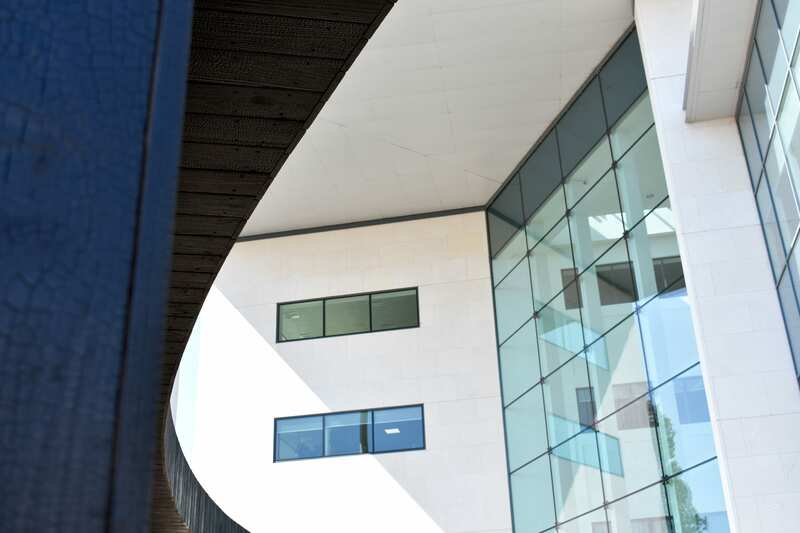 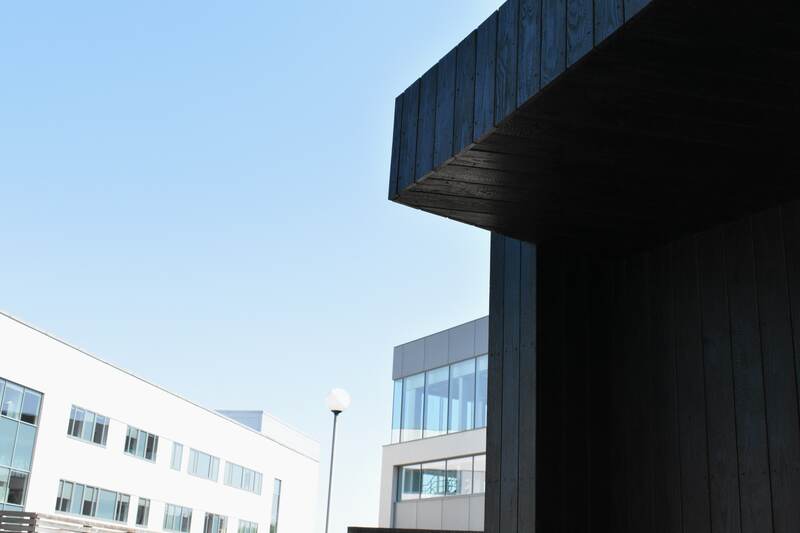 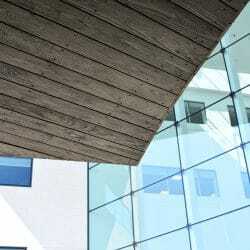 The charred cladding was fixed to the majority of the exterior; the doors were a challenge and so were the soffit boards – all neatly scribed into perfect place. 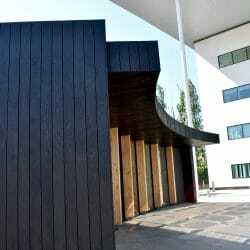 There had to be a cost saving; so we suggested the rear of the building could be clad in a black painted redwood. 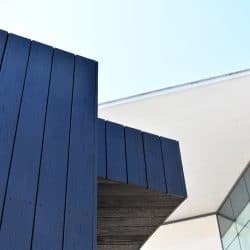 Furthermore, It wasn’t going to be seen but was required for planning so we chose the “3 coats Black Barn Paint” which was supplied by Exterior Solutions Ltd and gave the contractor the savings they required. 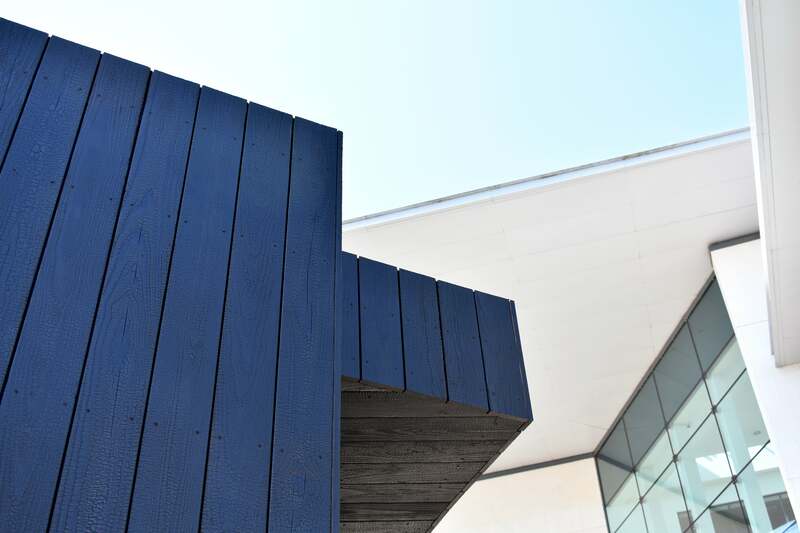 Certainly not a first for Decorum.London, they have already installed thousands of square metres of cladding, they were also asked to complete the roof structure, water outlets, insulation and all of the flashing’s. 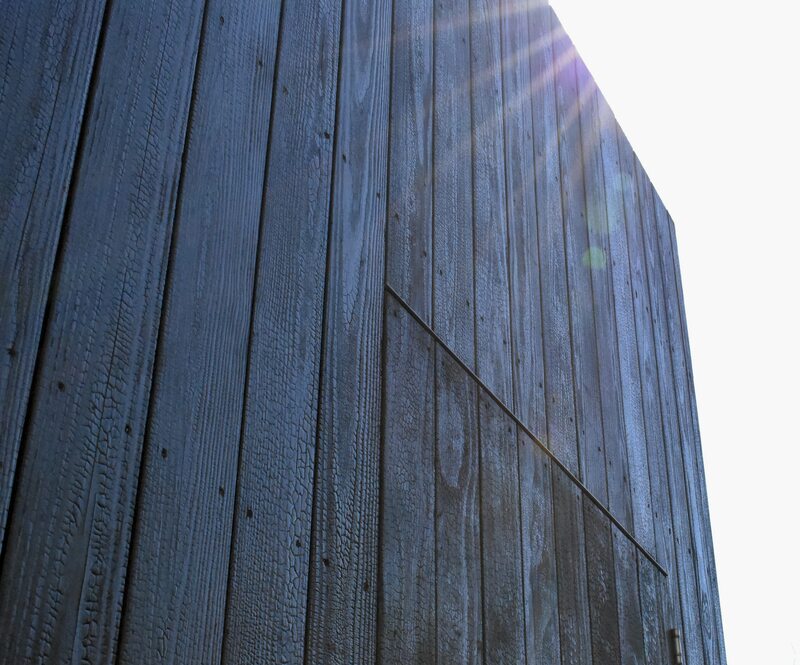 They also constructed the exterior storage and bin area.